A little while back I was quite chuffed when I had the opportunity to interview Niels “Shoe” Meulman. Since then, he and his partner in crime Adele Renault have been keeping me up to speed about a lot of interesting stuff they’ve been getting up to. One of those being Unruly Gallery, their little expo space just around the corner from the Westerpark. 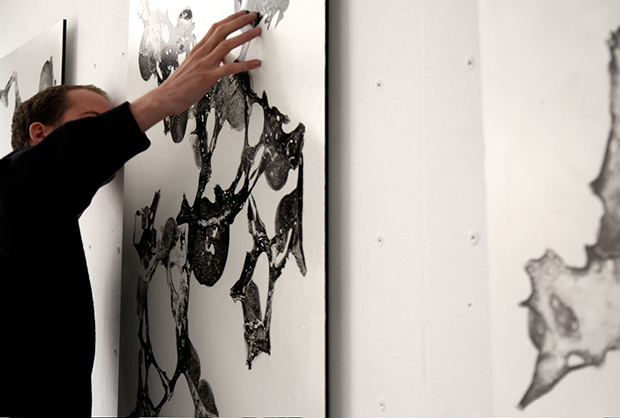 What started out as a group show back in May 2011, is now an established name in Amsterdam’s art scene. A trademark space for people who don’t think in boxes, who appreciate the edgy side of life and aren’t detained by the art elite. “The personality of the artist is key. Work is often linked to street-art or graffiti, but that’s definitely not a criteria for us. It’s the like-mindedness, that’s what we’re searching for,” adds head honcho of Unruly Job Sanders. 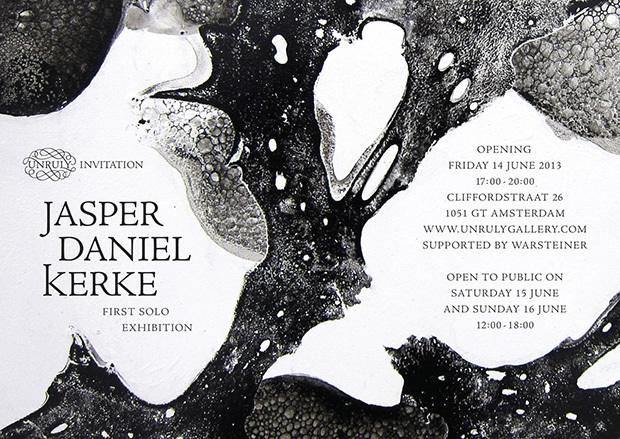 As luck may have it, this Friday is the opening of the first solo exhibition by the young artist Jasper Daniel Kerke. His work is unlike anything I’ve ever seen before, an intriguing landscape of scientific ink formations. “My work is very multi-interpretable; it often leads people to look further than they usually would because they don’t always understand it at first,” Jasper explains. It’s about studying the boundaries of your own perception. If you want to come and check out the final results of Jasper’s work, stop by Unruly Friday evening for a beer and a chat. This expo is truly worth seeing in real-life, believe me. And if we can trust Unruly’s Job, it seems as though Jasper is quite the perfectionist in deciding on the set-up of his first show. P.S. 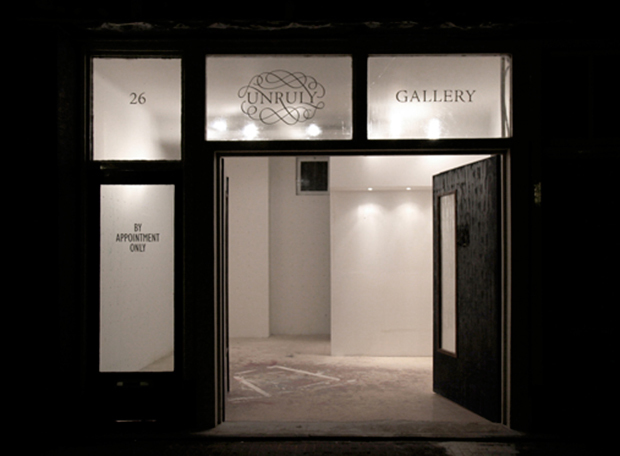 Sign up for the Unruly newsletter here to keep an eye out for upcoming exhibitions.